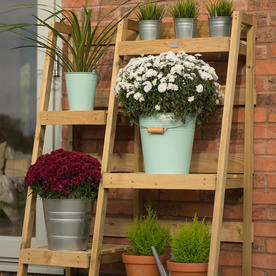 Give some height and gravitas to your plant display, an easy way to adding colour to patios and great for smaller city gardens. 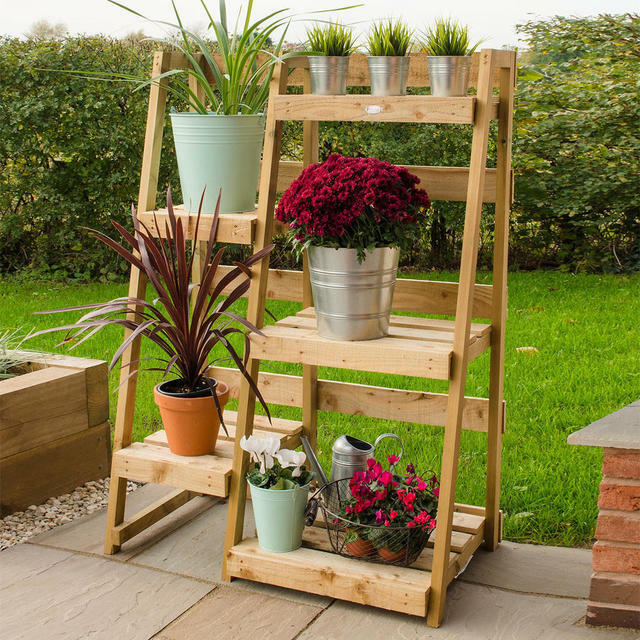 This five-tiered timber Wooden Ladder Plant Theatre is a great solution for displaying your plants in smaller spaces, or creating a feature display against a plain wall. 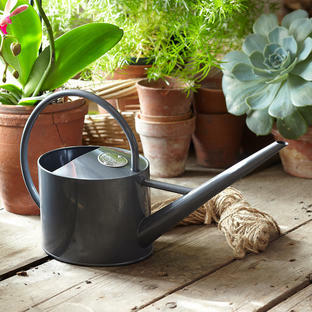 The Plant Theatre offers a flexible, functional and innovative way of displaying your plants. When filled with foliage and colour it will brighten up the smallest of spaces and looks stunning contrasted against a wall. 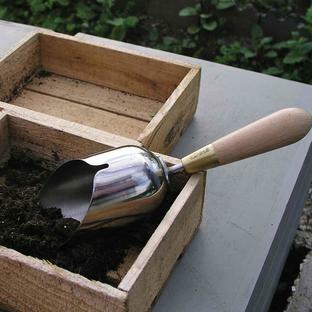 Great for small gardens, patios or balconies, and it is perfect for displaying flowering plants alongside edible fruit and vegetables such as trailing tomatoes, strawberries or salads. 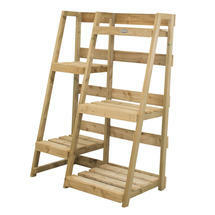 Made with a mix of smooth-planed and rough-sawn timber is has a rustic finish. 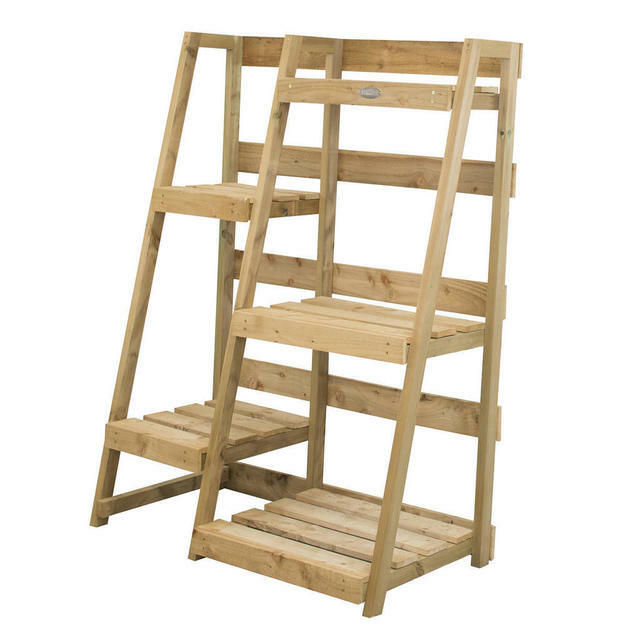 All the timber is Pressure Treated and it comes with a 15 year Anti-Rot guarantee.